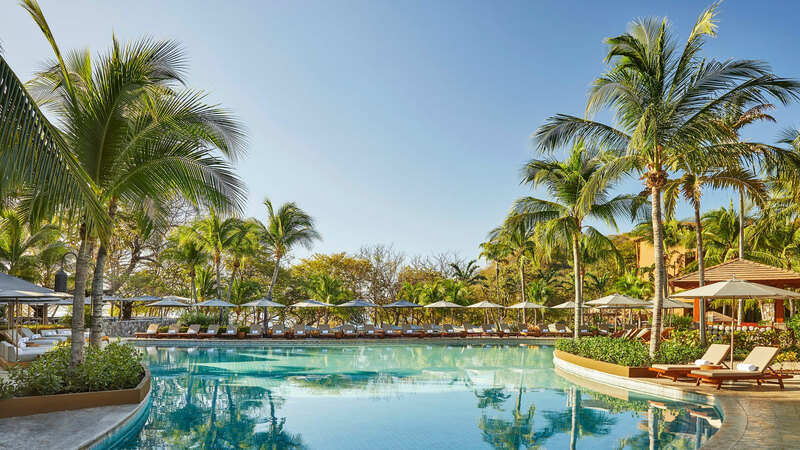 Four Seasons Resort Costa Rica at Peninsula Papagayo, a five-star resort located on the north Pacific coast of Costa Rica, has announced the debut of new and reimagined spaces and amenities to build on the resort’s $35m renovation from December last year. Enhancements include the opening of a new signature Latin steakhouse, a re-imagined spa that offers a serene wellness experience on arrival, and a beautiful new private concierge lounge to assist guests in planning their next excursion, amongst other exciting new improvements to the Central American resort. General manager Michael Mestraud said the resort is “continuing to raise the bar” on luxury guest experience, and these new and refreshed spaces and amenities allow Four Seasons to do that. 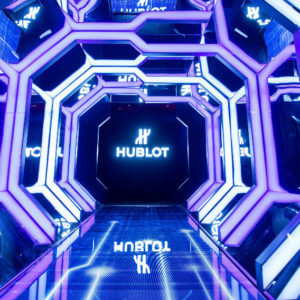 “Our team has taken great pride in curating these new features and we think guests from around the world will appreciate our enhanced resort experience, from an upscale dining steakhouse to the destination spa,” he added. One of the highlights from the collection of enhancements by the Meyer Davis design firm is the new Nemare Restaurant. Due to open on 20 November 2018, the steakhouse will offer a sophisticated and creative culinary experience at the newly re-imagined Peninsula Papagayo golf clubhouse, which overlooks the Arnold Palmer Signature course. Nemare will set a memorable dining scene with striking design from international design studio Denton House that pairs rustic and geometric shapes with rich materials including teak, leather and stone to offer a modern, cosmopolitan take on Costa Rican design traditions. Other key new improvements include the revamped spa: the new improvements will guests to experience a soothing, serene experience that includes a neutral colour palette and rich natural textures such as wood and stone to extend tranquillity across key spaces in the facility. New enhancements to the spa include: pre-treatment relaxation lounge and post-treatment indoor cabanas; elevated men’s and women’s locker rooms with new steam rooms, private showers and an outdoor terrace with hot and cool hydrotherapy pools; 18 spa treatment rooms with features including waterfall showers, whirlpool tubs and ocean views; a special hammam room for unique Turkish bath experiences; and new Ayurvedic and sound healing spa treatments including a two-hour Traditional Hammam Ritual. Amongst a host of other new benefits are a revitalised fitness and wellness centre, offering state-of-the-art equipment whilst surrounded by the tropical landscape; the new private concierge lounge that will assist guests in choosing from more than 25 ‘only-here’ ocean, land, sky and cultural adventures at the resort; and a brand-new breakfast buffet and JUGOS juice bar at Bahia restaurant. 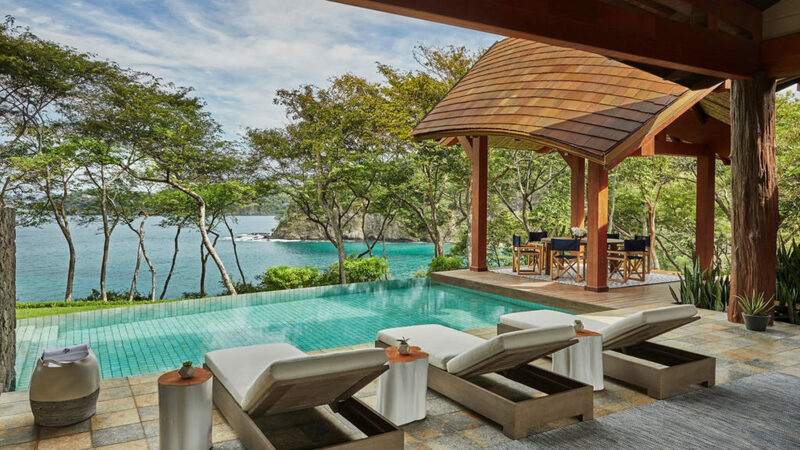 In addition to these Four Seasons Resort Costa Rica enhancements, the sesort will complete construction of a brand-new collection of oceanfront residences – Four Seasons Private Residences Prieta Bay – in early 2020. First announced in December 2017 as part of Peninsula Papagayo’s more than $100m community-wide transformation, this exclusive enclave of 20 wholly-owned, custom eco-luxury three, four and five bedroom villas sit on 17 acres (7 hectares) of prime oceanfront real estate adjacent to Four Seasons Resort Costa Rica.